For nearly a quarter century, Shelburne-based songwriter Dawna Hammers has performed her self-described "music for the heart and soul" all over New England. A capable pianist, guitarist and vocalist, she is conversant in a range of styles, including folk, jazz, soft rock and new age. Hammers' most recent album, 2011's Love & Loss, while at times prone to syrupy melodrama, showcased that technical and stylistic versatility. 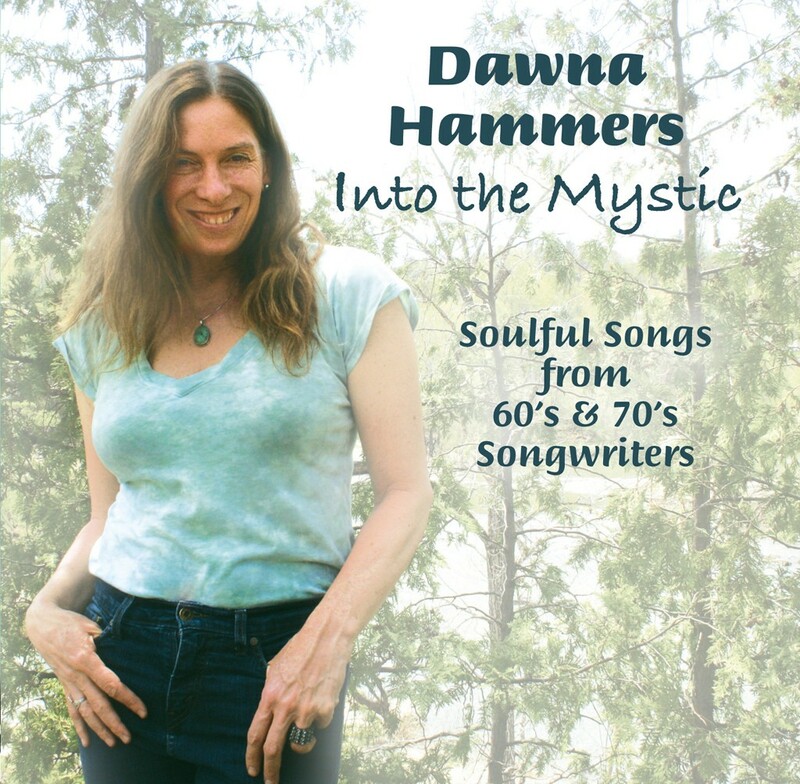 Her latest effort, Into the Mystic, a tribute to Hammers' favorite songwriters of the 1960s and '70s, similarly presents the singer as an artist of varied interests and influences. The album opens on "Woodstock," a tune written by Joni Mitchell but popularized by Crosby, Stills, Nash & Young. Mitchell is perhaps Hammers' dearest influence — she covered "River" on Love & Loss — and her rendition is more in line with Mitchell's haunting original than CSNY's electrified take. Hammers imbues the song with an ethereal quality, owing to her airy vocals and flowing piano work. It's among the album's best cuts. Following Mitchell's "Both Sides Now," Hammers offers a pair of Beatles numbers, "Blackbird" and "Because." As with most of the material on the record, she doesn't so much reimagine her source material as adapt it to suit her spare piano and guitar arrangements. The tack is effective here as both songs bear shades of the originals while allowing Hammers room to personalize her renditions. Her approach is decidedly less effective on the next track, "Dream On" by Aerosmith. Hammers' fluttering performance saps the 1973 classic of its dramatic force. What is a power ballad without power? "Landslide" is similarly flimsy. Here Hammers transforms Fleetwood Mac's acoustic gem into a wishy-washy, new age piano ballad. It's not fair to compare anyone to Stevie Nicks, but Hammers' overwrought rendition loses the intimate, conversational quality that makes the original so potent. The singer rebounds on Carole King's "You've Got a Friend." Her naturally dramatic delivery suits that song's feel-good vibe. She smartly follows it with a tune from the man who made King's song famous, "The Secret of Life" by James Taylor. After a pleasant, piano-lounge take on Tommy James & the Shondells' "Crystal Blue Persuasion," Hammers closes the record on the title track, Van Morrison's "Into the Mystic," easily the strongest cut on the album. Here Hammers' understated vocal performance reveals just how strong a singer she can be. This is especially true at the song's signature line. Rather than attempt to emulate Morrison's histrionics at "And I want to rock your gypsy soul," Hammers takes a softer approach and the result is chill inducing. It's a fitting close to a well-intentioned and heartfelt offering. For ordering info on Into the Mystic by Dawna Hammers, visit dawnahammers.com. Hammers plays Radio Bean in Burlington this Friday, September 5.